The textile traditions in Järbo goes back to the 1890’s as “Yllefabriken” (The Wool factory). Back then it included, in addition to yarn production, everything from weaving and dyeing to finishing. In the 1960’s, the factory concentrated into yarn production, primarily focused on industrial yarns for the manufacture of upholstery, carpets, curtains and more. 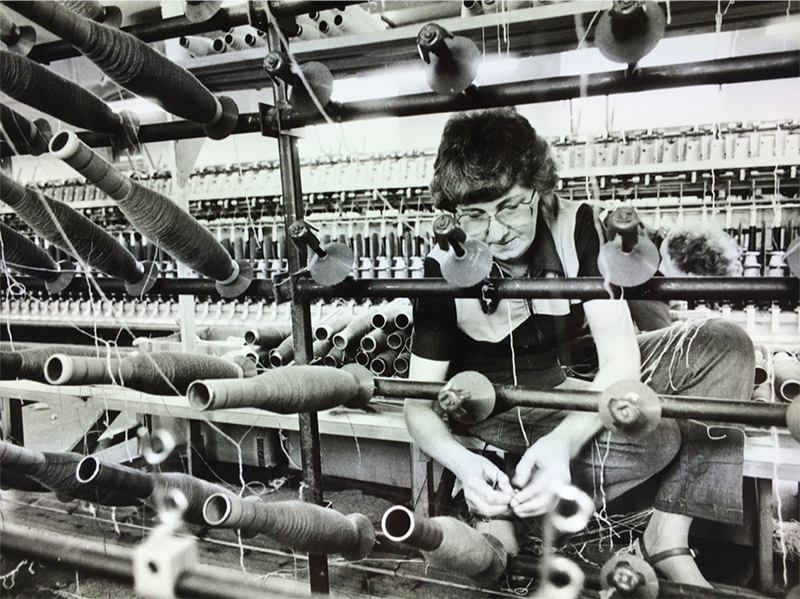 Manufacture of handicraft yarns had in previous years been on a smaller scale, but from the early 1980’s this sector increased greatly in scope. The company has a family background, and is since 1980 run as Järbo Garn by the siblings Jan Blomberg and Kristina Yttermyr. They are also active in the company today. Järbo Garn focused from the start to trade with a focus on craft yarns. The range has expanded significantly, as well as the market shares in Sweden. The business has evolved steadily and today the company stands as one of the leading suppliers of knitting, crocheting and weft yarns. We also have a wide range of accessories for knitting, crocheting and other needlework. Järbo Garns products are well represented throughout the north, and the range of yarns and design is constantly under development. Today we work with leading producers in many countries, and by imports of large volumes we can offer affordable products at a high quality. Through a flexible material handling and well-developed logistics, we daily provide our retailers with a large number of orders from the central warehouse in Sandviken. We care for good quality! After much research and long experience in the yarn industry, we know that our customers appreciate quality. This encourages us to constantly monitor our products carefully. Picture from the old Yllefabrik in Järbo.